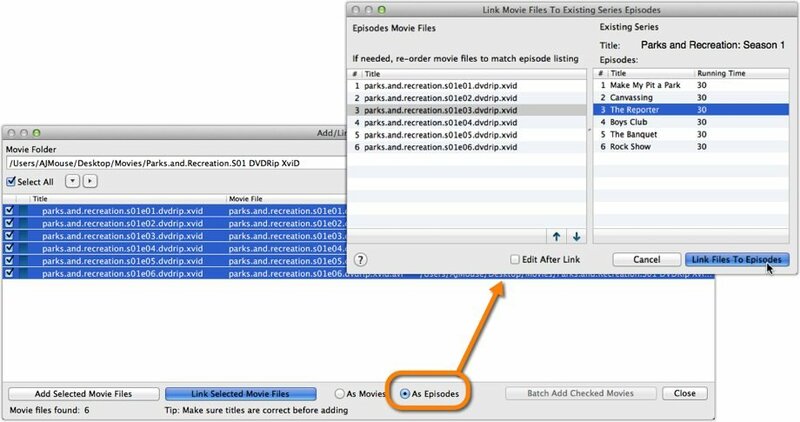 Movie Collector has the ability to automatically link digital TV episodes to the series within your database. This allows you to quickly play the episode directly from within your template. 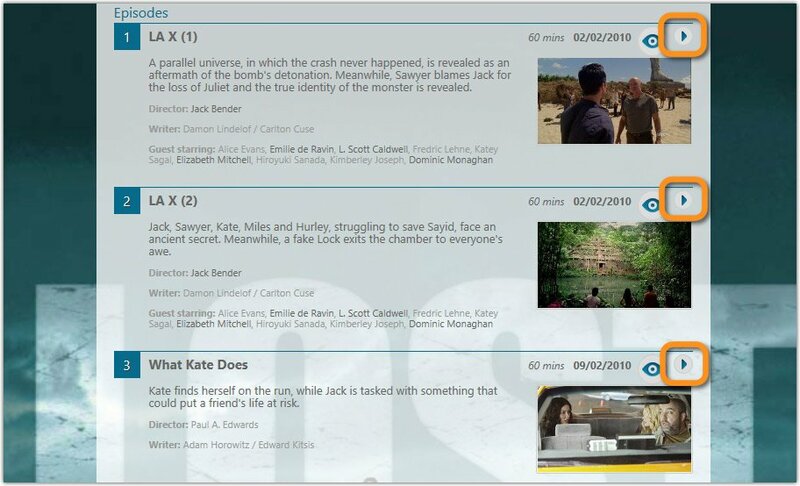 TV episodes and movies use the same Add / Link movie files screen. Click the Add / Link movie files icon from the Toolbar. After selecting the series you will have to order the episodes, if you have them stored with filenames such as s01e04 then the order should already be correct. If not, click and drag episodes in the left hand window to change their order. Once you have sorted the list correctly click Link Files to Episodes. The episodes can now be played via the Play icon from your Detail Template.